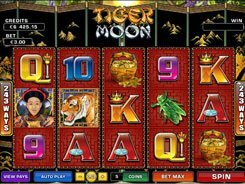 This is an Oriental-themed slot from Microgaming equipped with 5 reels and 5 paylines. 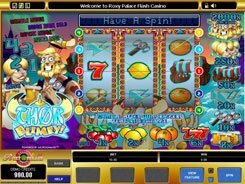 The slot offers a simple gameplay with a wild and a scatter as special features. The symbols are playing cards from 10 to King, dragons, Koi carps, geishas, and Oriental landscapes. 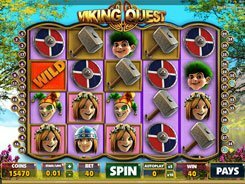 As in other slots, your aim is to hit winning combinations on the paylines, but in this particular game winning combos pay from left to right (a standard model) AND from right to left. 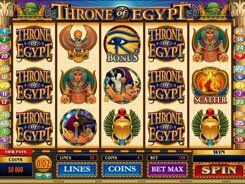 A coin size is adjusted from $0.25 to $5, with a single coin permitted per line, therefore the floor and ceiling bets are $0.25 and $25 per spin. 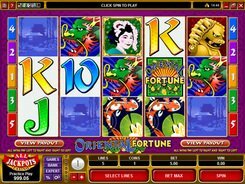 The first-largest jackpot in the slot is $25,000 (for five Oriental Fortune logos), and the second-largest jackpot is $15,000 (for five Golden Dragon symbols). A wild symbol represented by Geisha substitutes for other symbols, but does not create winning combos on its own. 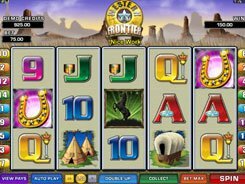 Overall, Oriental Fortune is a straightforward video slot with two special features, nice graphics and massive fixed jackpots.